This is the downsizing estate sale for a Physician and UCLA scholar. He was a top doctor at UCLA Medial Center for many years. The family is Dutch and there are many Dutch themed collectables, Delft and artwork as well as a huge medical library of fine books. This house has nice ornately carved antiques furnishings and lots collectables and useful household goods. 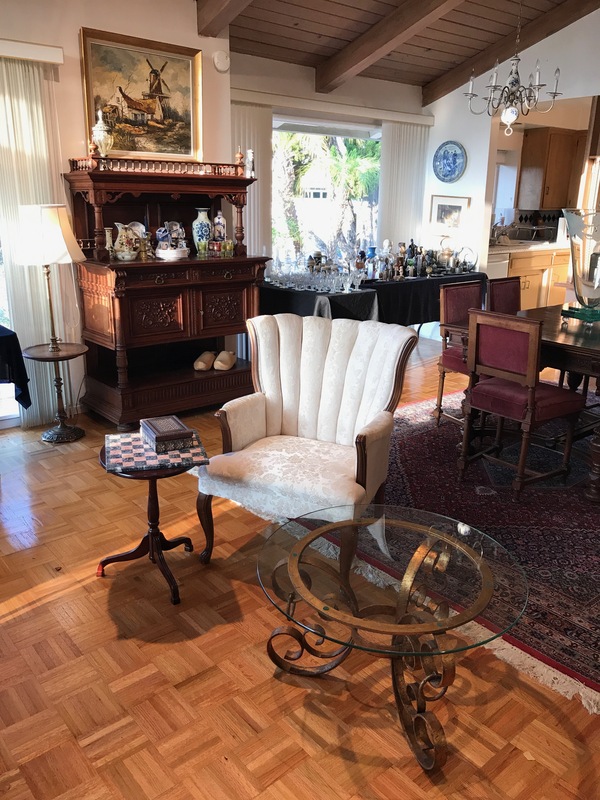 Featured are: Fine antique Belgium buffets and table with 6 chairs, old Chinese Wedding cabinet, Beautiful William Morris style hand carved library table, large old hand made Persian rug, Art Deco curio cabinet, Indian hand carved alter cabinet. Also vintage arm chair, coffee tables, drop front Secretary desk and china cabinet. There are many medical and scientific books and publications, lots of art and history books, Cd’s and LP records. A Zeiss stereo medical microscope plus medical instilments and vintage cameras. Also many fine art works with Dutch themed vintage oil paintings, vintage posters (Henri Cassiers) and prints. There’s Delft ceramics, silver-plated serving pieces, Franciscan Desert Rose and vintage Royal Vienna dish set, vintage African collectables and figurines and vintage Pewter. Also Clothing, costume jewelry, vintage dolls, plus the usual assortment of household goods.